You are the current highest bidder! To be sure to win, come back on 29 May 2018 10:11 BST Date Format as the lot closes or increase your max bid. Sales by Timed On-Line Auction on Behalf of the Liquidators of DAE Systems Ltd. Viewing: The lots for sale may be viewed on 24th May 2018 by appointment only between 9.30am and 4.30pm at DAE Systems Ltd, Brunel Park, Vincients Way, Chippenham, Wiltshire, SN14 6NQ. Bidding Process: Bidding will end at 10:00 UK Time on 29th May 2018 subject to staggered timings and the normal 10 min extension] at which time all highest bids will be considered. Acceptance of Final Bids: IMPORTANT NOTE – Acceptance of all final bids is subject to prior approval by our client. 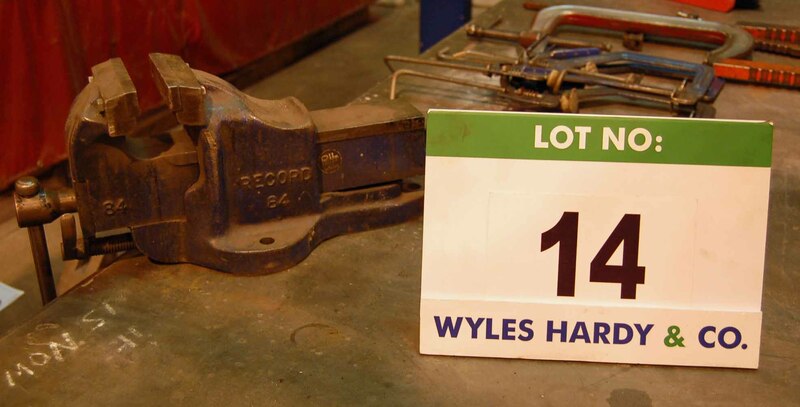 Wyles Hardy & Co Ltd reserve the right to reject any bids which they feel are insufficient. Successful bidders will be notified by email by Close of Business 30th May 2018. Payment Terms: All purchases are to be paid in full, no later than 4.30pm UK Time on 31st May 2018. All queries regarding payment should be directed to our enquiries@wyleshardy.com, quoting AD1047. Clearance of Purchases: All lots must be removed strictly by appointment between 9.30am and 4.30pm from Thursday 31st May until Thursday 14th June (excluding weekends) from DAE Systems Ltd, Brunel Park, Vincients Way, Chippenham, Wiltshire, SN14 6NQ at the buyers expense. Wyles Hardy & Co Ltd do not undertake packaging, postage, delivery or shipment of goods and the bidder must make his own arrangements to comply with the clearance terms. Clearance of all lots must be undertaken in accordance with Health & Safety at Work Regulations and, where necessary, Construction Design and Management Regulations 1994. The purchaser should ensure that their contractors hold sufficient public liability insurance, copies of which should be made available to Wyles Hardy & Co Ltd if demanded.